Johnstons of Elgin is known for time-honoured appreciation of cashmere. In its purest form cashmere is, and always will be, one of the most remarkable natural fibres. The signature ripple finish, applied to single and double-faced throws, is unparalleled and offers a particularly unique home-decor accessory. 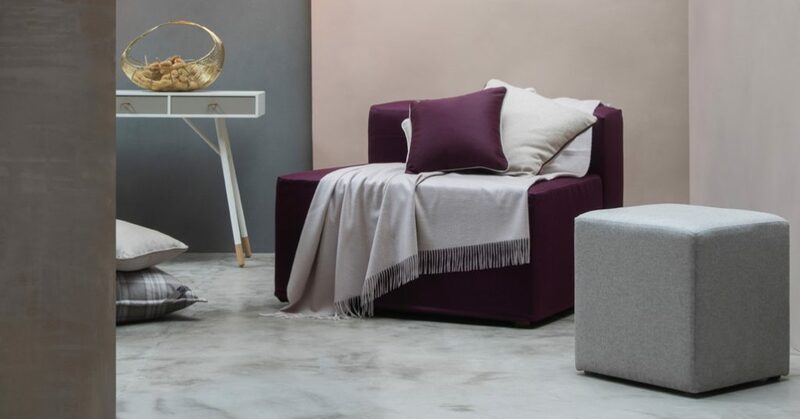 Homes & Interiors Scotland has teamed up with Johnstons of Elgin to offer one lucky reader the chance to win a knitted pure cashmere throw, worth £600. Available in a variety of colours, it will add a touch of sophistication to your interior. The first name drawn at random from entries received by 19 April will be the winner. The winner will be notified immediately thereafter. This competition closes on Friday 19th April however we do have more competitions from TOAST and Kitchens International for you to enter. Find out more on our homepage.